Begin the day with a review of all the latest news on the regulatory front. Hear directly from AEA’s Ric Peri and other invited guests to learn about the most recent and important issues impacting the industry. Always a standing-room-only capacity, this year’s AEA regulatory leadership panel covers the major issues affecting the international repair station community. Executives representing the Federal Aviation Administration, Transport Canada Civil Aviation and the European Aviation Safety Agency have all been invited to this exciting and informative session. If you are concerned how the U.S. and international economy may affect your business in the next 24 months, don’t miss this enlightening presentation by a renowned economist. How will avionics manufacturers and repair stations be affected by international economies? What can you do to experience growth and profits in the next 24 months? How will smart business people succeed during a debt-ridden environment? How will policies, programs and new tax structures affect your business? Dr. Chris Kuehl is a managing director of Armada Corporate Intelligence, providing forecasts and strategic guidance for a wide variety of corporate clients around the world. He is the chief economist for several national and international organizations. Dr. Kuehl also serves as the economic analyst for the NBC, Fox and ABC affiliates in Kansas City, Mo., as well as CNN. Prior to starting Armada in 1999, he was a professor of economics and finance for 15 years, teaching in the U.S., Hungary, Russia, Estonia, Singapore and Taiwan. He has received advanced degrees in economics. In his personable, easy-to-understand style, Dr. Kuehl will share his economic forecast for the U.S. and global economies, and give a forward-looking analysis of trends to watch. In order to thoroughly and knowledgeably consult with your customers on the avionics requirement for NextGen, we must move beyond ADS-B. The AEA is gathering a panel of experts to share vital information beyond the basics of the ADS-B Out mandate. As an industry, there has been discussion about incorporating RNP and datalink into best-equipped, best-served flight operations. This session will discuss the technologies that will facilitate the FAA’s best-equipped, best-served agenda. In addition, as these technologies move from advisory to primary CNS, how will it impact the installation, certification and operation of these technologies? Don’t miss this informative session! 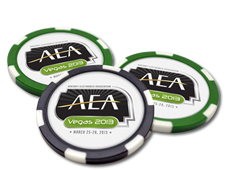 The AEA represents nearly 1,300 member companies in 42 countries around the world. Avionics components are shipped worldwide, and aircraft are maintained and modified globally. Many of the world’s regulatory authorities have worked tirelessly to develop treaties and agreements to facilitate this international movement of goods and services. This panel session will investigate the opportunities and limitations of these international aviation agreements. Become informed from the experts: Learn how bilateral agreements may affect the future growth of your business. EASA has introduced a game changer for EASA-approved Part 145 repair stations: SMS. With a philosophical shift and the injection of safety management into the repair station management regulations, the NPA can have a significant negative effect on the operation of EASA-approved repair stations. This session will thoroughly review the EASA proposal for SMS, the enhancement of human factors and, finally, the incorporation of fatigue risk management. With a closing date of late April, any AEA member that holds an EASA 145 should attend this review session.